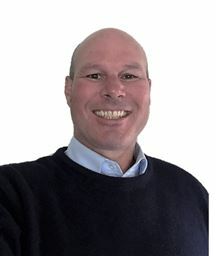 Hamish McLeod entered the Real Estate industry in 2005 and since then has spent time specialising in Management, Auctioneering and Residential/Rural sales. 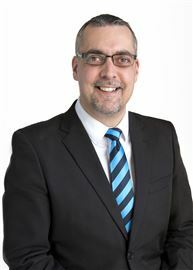 Hamish’s experience has seen him involved in large rural transactions, subdivisions and developments as well as a wide range of residential transactions across the south island. 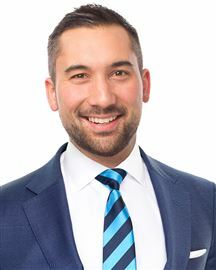 Hamish’s passion for professionalism within the real estate industry has driven him to complete a Bachelor of business Management, majoring in Marketing and information systems, as well as completing the highest level of real estate qualification, gaining his AREINZ status. Hamish focuses on supporting salespeople to deliver the highest level of service. Hamish’s believes that Harcourts Grenadier provides it salespeople with world class training, resources and facilities which helps clients achieve outstanding results. In 2017 Hamish and his wife Sarah became owners of the Harcourts Halswell office with the Grenadier group. Sarah has been working in Real Estate for Harcourts Grenadier since 2007, Sarah is an Associated Member of the Real Estate Institute of New Zealand (AREINZ) Sarah started her career in Real Estate under the Urban Projects team, being the only established division in Harcourts to concentrate solely on the sale of large sub divisions both in the North and South Island. Sarah was then awarded the Grenadier Cadetship, a year of intensive training and development, Sarah progressed into selling with a comprehensive view of the industry. 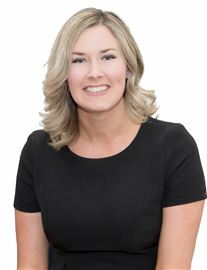 Sarah worked as a Licensed Sales Consultant with Alison Aitken helping clients buy and sell properties for almost 7 years. In 2017 Sarah and her husband Hamish became owners of the Harcourts Halswell office with the Grenadier group. Aaron has been instrumental in marketing residential and commercial properties with some of Christchurch's top property developers and real estate agents, recent projects he has been involved in exceed 100 million dollars in value. Aaron understands the importance of technology and marketing, and recognises that it’s critical when you are looking to attract buyers and achieve a premium sale price. During his time as marketing manager at a nationwide realty firm, he developed what AC Nielsen reported to be, “The highest ranked agency website” by property buyers. Aaron’s notable traits include his very personable nature, honesty, knowledge of the industry and digital marketing expertise, the latter was recognised when he was asked to speak on the topic at a Yellow Pages Business owners event. Whether you are looking to buy or thinking of selling in Christchurch, Aaron can help you. His extensive marketing background will help you achieve a premium sale price, and if you are looking to buy, he can help you find the perfect place to call home. Dedicated, Committed, Passionate I am an extremely hard-working individual with your best interest as my highest priority. With over 80 sales under my belt since my move to Real Estate in 2014 I consistently perform to the highest standard, and am constantly striving for success. I have always had a strong interest in Real Estate and was hand-picked from a previous Customer Services Management Role for my friendly and approachable nature but most of all my high attention to detail, exceptional negotiation and customer services skills. I have developed a great understanding of all things Real Estate within Christchurch city and the wider areas, the evidence of this shown by the awards and trophies I have received. I am a proud family man with two great children Matthew and Lydia and have a very understanding wife and Personal Trainer, Angel. Our two pets, Benji the Beagle and Rusty the Cockatiel, complete the family. In my spare time I Play, Coach, Manage and Officiate in Ice Hockey and have many other interests/hobbies ranging from engineering to outdoor pursuits, motor sport and sport in general. My biggest dream is to experience a white Christmas and skate some of the beautiful frozen lakes in Canada. If you are looking for a top agent who is passionate about his role, is very approachable and easy to get along with then look no further. Cecelia’s has a natural ability when it comes to helping people and anticipating needs, this skill was developed by spending many years in a high value customer service role on international flights for Air New Zealand. Cecelia’s aptitude for understanding your needs will help you make good decisions for your future endeavours. Backed up by an amazing administrative and management team, Cecelia has all the tools to make your journey enjoyable and rewarding. Canterbury’s fresh air runs through Cecelia’s veins, a left over trait from growing up on a South Canterbury farm and when she isn’t thinking about bricks and mortar, Cecelia can be found skiing either on the slopes at Mt Hutt, getting towed behind a boat in the summer, or getting a lung full of fresh air out and about on our city’s beautiful tracks. Cecelia’s energy and attitude is infectious, working along side her will make all your real estate transactions enjoyable and rewarding. Give her a call today! Fe, originally from Brazil is a social person with great communication skills. She has been living in New Zealand since 2004 and has clarity in the kiwi culture and enjoys working with people. Fe has really hit the ground running after joining Harcourts Grenadier . She has shown a genuine passion for her chosen career of real estate and a has natural understanding and desire to provide the very best for her clients. She is passionate about people and building relationships, being the right person to understand clients' needs and desires. Fe has a strong interest in house renovation, constructions and interiors. With strong energy, Fe will be the complete package with the ability to assist you in all areas. Being of the new generation of young sales consultants, Fe knows how to maximise the use of the extensive Harcourts recourses to gain the very best results for her clients. Fe has boundless energy and loves working with people. Integrity, honesty and a strong work ethic best describes her and what she brings to the Halswell team Fe would be delighted to represent you in the selling or buying process and you can rest assured that you will encounter the excellent services of her administration team, her management team, her auctioneer (if you decide to go down this route) and the Harcourts network as a whole, because when you list with Fe you are also listing with the Top Franchise in the South Island for Revenue out or 830 offices Worldwide. Fe will carry out the tasks required to help you on to your next stage in life, with confidence and efficiency. 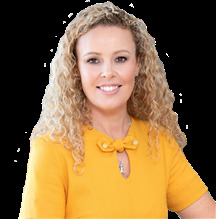 Gael recognises that the selling or buying of a home can be a stressful time and she believes her role is to make the experience as smooth as possible while achieving the best outcome. Gael is all about people and will always put you first. It is the combination of Gael’s easy going nature, eye for detail and perfectionism for presentation that makes her the ideal choice when choosing someone to sell or find that ultimate residential or lifestyle property. She has a friendly, no pressure approach and a work ethic driven by trust. You can be assured of receiving the highest quality service, reliability and customer satisfaction throughout every stage of the buying or selling process. A keen gardener on her lifestyle block at Weedons which she shares with her husband and horses, Gael’s strong competitive nature and desire to succeed has helped her to participate nationally at a top level of equestrian sport, both as a rider and a judge. John’s Real Estate career started in 2005 where he has since achieved an enviable sales portfolio. Representing a wide range of clients throughout Canterbury. A trusted and proven agent, that has the ability to manage sales process effectively with professionalism. As a Real Estate agent Julie brings a unique blend of the old and the new. A forward thinking, innovative person, she maximizes her clients’ exposure by making full use of all the tools and resources at her disposal as a member of the Harcourts team. But Julie still relies heavily on the tried-and-true principles of marketing and selling - communication and trust. 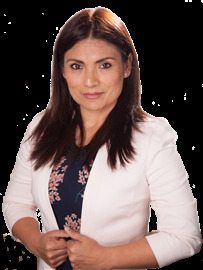 Julie has a background in Civil Law, Business Management and Customer Service in her native Peru, and her professional life has always revolved around making transactions happen, while achieving the optimal result for her clients. Moving to New Zealand in the early-2000s, Julie immediately fell in love with both the country, and the people, and it was inevitable that she would be drawn to a career which allowed her to utilize her relationship building skills, her professional, determined approach to every task she undertakes, and her infectious enthusiasm! 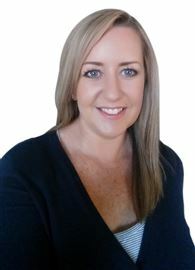 Julie earned a Bachelor of Commerce degree in Management and Marketing from Lincoln University, helping her to provide advice to her clients on a multitude of topics within the Real Estate industry. Julie caters for everyone - from those looking to take their first steps up the property ladder, to astute investors pursuing key investments. For an obligation-free chat about your property needs, call Julie today! Lego believes that the best way to sell real estate is to build strong, professional relationships with his clients - getting to know and understand their needs are important. His passion to help and create good experiences for clients is the motivating force behind Lego’s successful career in real estate. With three years experience behind him in a tough Taiwanese real estate industry, Lego has gained valuable insight into how to help people achieve their dreams. This allows him to work smarter and more creatively for his clients. When it comes to buying and selling a property, Lego understands that the key to success is offering an active and unique service. He enjoys working closely with his clients, analysing what they want, finding the best way to achieve the best results, and giving them the right information to make informed choices along the way while utilising the best marketing resources available. He genuinely wants to make life better for people, making sure they are happy with their decisions and creating a stress-free realty experience built on trust and honesty. Along with his openness and warm sense of humour, Lego is known for being a great listener, thoughtful, helpful, detail-orientated, trustworthy, reliable, and generous with his professional expertise. Moving to New Zealand from Taiwan with his wife was a positive experience for Lego. It has given him time to enjoy a relaxed lifestyle and take time out at the gym to keep fit and also spend family time at home - a far cry from the 15-hour-a-day work life back in Taiwan. Having a Mandarin speaking background allows Lego the opportunity to specialise in working with the Chinese community. He is an enthusiastic member of this community and looks forward to showing prospective clients the best that Christchurch has to offer. Shelley is an energetic, vibrant and friendly person and finds it easy to relate to people. She is very excited to work in the Real Estate industry and all the experience she has gained in her previous career benefits her greatly in this role. Shelley comes from a military background having served in the Royal New Zealand Air Force. While Shelley was in the RNZAF she was highly trained and became a fully qualified Chef and Steward achieving qualifications from the well respected City & Guilds Of London Institute. As a Steward, Shelley was taught excellence in customer service and the military training she received during this time implemented a high level of discipline, a good work ethic, focus and attention to detail that she has kept with her ever since. Upon leaving the military Shelley worked in hospitality for a number of years holding positions across New Zealand and in the Middle East. She also worked in training and consultancy and is a respected member of the culinary world. Shelley lives with her husband and their two sons. While the children were young she wanted more flexibility to be available when they needed her so she set up an online business and this has been a success for 8 years now. 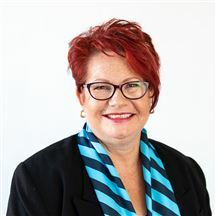 Now that her sons are teenagers she is free to fulfil her role with the fabulous team at Harcourts Grenadier Halswell. Shelley loves to travel and likes to get away somewhere different and interesting every year. She also loves movies, music and gardening which is another great passion. In the past she has enjoyed transforming neglected gardens at the family’s previous homes. Shelley has a great eye for detail and an excellent ability to make the most of what you have. If you are wanting to buy or sell a home then give Shelley a call as she would love to work with you. 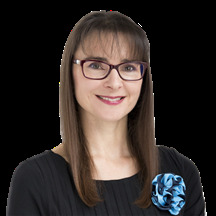 Mish Kubiak is a dedicated member of our Halswell team and offers great support to all the agents. Mish is exceptionally efficient and hard working. Bargain Sale! One Week Only! Good buy on Hei Hei! Reserve Boundary and In Zone! On a Budget & In Zone? AN OFFER will be accepted! Looking to Invest or Downsize? Family Home - Cashmere Zone! Sparkling and Ready for you! Wow Look at This Price! Little Cutie has to Go!! Located in a fabulous mews! Hard to leave...but must SELL! Urgent Action Needed Here NOW! Owner Moved on - Needs Sold! Deceased Estate - Must Sell! New Home + 2 Studios! Rent or Refurb - You Choose!! Smart Buyers Look at Me! Fisher Ave - Newly Built! Land - "not making it anymore"
Spruce Me Up On Somerfield! Living in Longhurst - Love It!